The DEUTZ TCD 12.0 and DEUTZ TCD 16.0 are watercooled 6 or 8-cylinder V engines (90°) with turbocharging and charge air cooling. Available in Power Pack configuration. 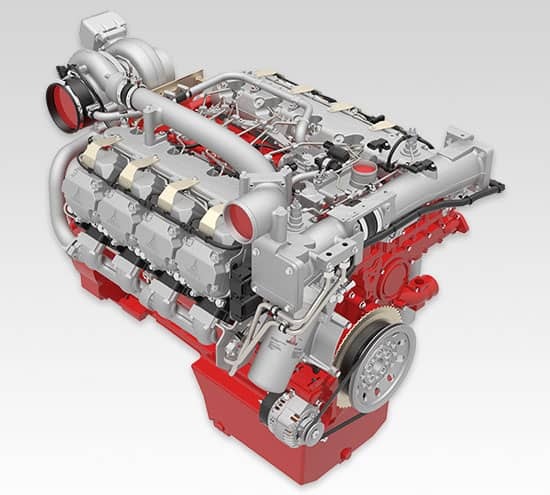 Consistent installation and connection dimensions of the engine facilitate the changeover of existing installations to the next stage of the emission legislation. The extremely compact engine design and customer-friendly accessories reduce the installation costs and increase the number of applications. 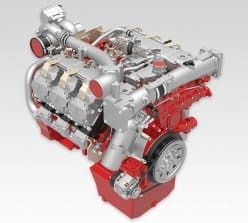 The powerful Common Rail injection system and the electronic engine control (EMR 4) with intelligent link to the drive management ensure optimum engine performance at low fuel consumption. The engines have a modular exhaust aftertreatment system (EAT) with components from the DVERT kit and optional configuration variants. This means a high flexibility in machine integration for the OEM. 100% power take-off at flywheel and front end and additionally up to three PTO drives with a total torque of up to 520 Nm. 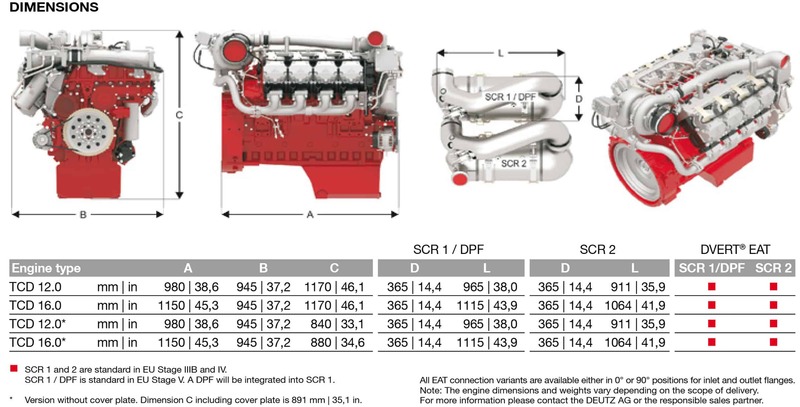 The engines meet the requirements of the EU Stage IIIB and US EPA Tier 4 interim with SCR. 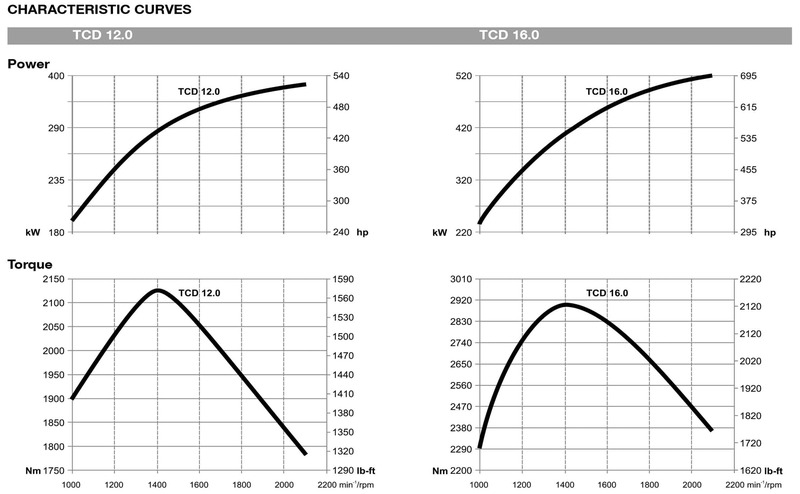 Additionally for EU Stage IV / US EPA Tier 4 with cooled external EGR and DVERT particulate filter. A variant without EAT is available as an option for less regulated markets. Also available in Power Pack configuration. *For specific ratings regarding EAT systems, please consult with DEUTZ application engineering. DEUTZ Corporation has launched a new business concept designed to provide dedicated application engineering and technical sales resources closer to smaller and mid-sized machinery manufacturers that utilize DEUTZ products. The new concept, DEUTZ Power Centers, offers an extensive range of value-added products and services to better match customer needs and exceed expectations. © 2017 DEUTZ Power Center. All Rights Reserved to DEUTZ Corporation. Website Design by Web Full Circle.